Subscribe to our newsletter to follow our adventures. We’ve wrapped up the Americas (part 1 of our RTW bucket list) and are ready to make our continent jump to Asia. A transpacific cruise will enable our cultural shift as we dive head first into Japanese and Thai cuisine, before donning our hiking boots one more time for a Himalayan trek, and finally immersing ourselves in the exotic Indian and Sri Lankan culture. Here is our bucket list for Asia. After roughing it for six months, we’ll be taking a little break from our backpacker life. We found a cruise deal that’ll take us from Vancouver to Tokyo for just US$70 per night, where we’ll enjoy all inclusive meals and pampered living for two weeks – that’s cheaper than backpacking! See our blog post. Ah Japan. Where our love of fast cars and good cuisine collide in the perfect matrimony. We’re looking forward to gorging our faces with ramen and gyoza, and getting our adrenaline pumping at the Japan F1 Grand Prix (7-9 October). 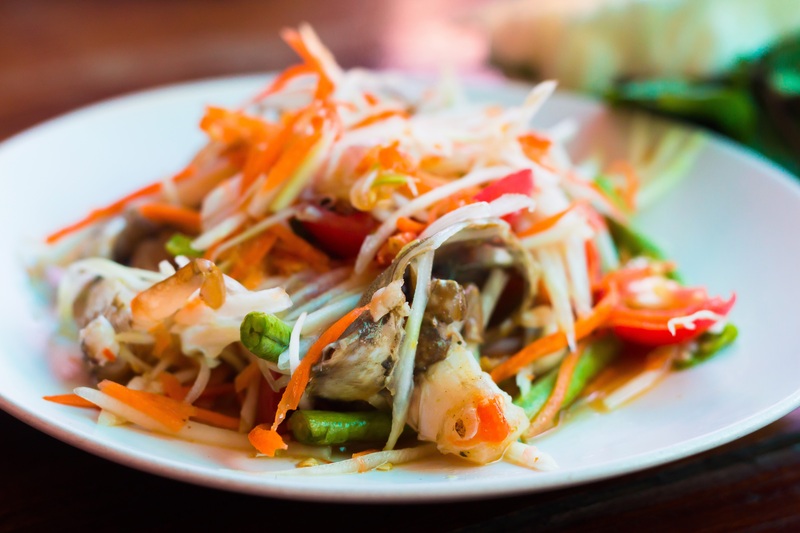 Northern Thailand is known for having the best traditional cuisine in the country. We can’t wait to visit the floating markets, try our hand at cooking an authentic dish, and learn about the rich culture that defines Thai cuisine. This perfect introduction to Nepal combines a short, highly scenic trek through the Himalayan foothills of the Annapurna region, passing through traditional Hindu villages and pristine forests to ridgetop camps that offer remarkable views. Always wanted to don a sari, wear henna and dance to some Bollywood music? What better way to experience the culture than through an Indian wedding. This once in a lifetime, immersive experience will give us a glimpse into the traditions and customs that create three days of festivities. Take a visit to Sri Lanka’s ethically run sanctuary for orphaned elephants. Here we will experience the majestic beauty of the elephants as they are nurtured back to health without the threat of human or natural forces. The Travel Status is a travel blog by Carly and Tim, an Australian couple travelling around the world. They share their adventures as full time nomads, and hope to inspire others to see the world with their own two eyes. Copyright © 2017 The Travel Status. All Rights Reserved.